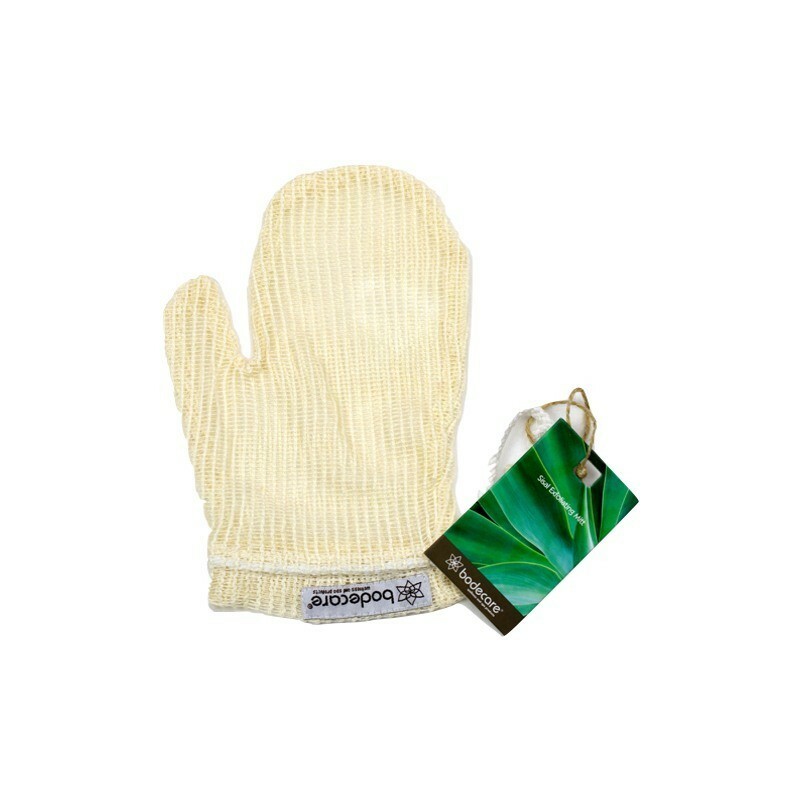 A natural sisal fibre glove suitable for wet body brushing. Can be used in the bath or shower with your body cleansing soap. Gently exfoliates and opens up pores, and is suitable for use on the face. A natural sisal fibre glove suitable for wet body brushing. Can be used in the bath or shower with your body cleansing soap. Gently exfoliates and opens up pores, and is suitable for use on the face. Place hand or soap into the mitt, lather product and rub over body in circular motion. Wash cleansing product from mitt and leave in a well ventilated area or in the sun to dry. This is a soft natural mesh that dries quickly and will last a long time if proper care is taken. All our natural body brushes are vegan, use FSC certified timber, have not been chemically treated, and are responsibly made under fair trade conditions and comply with the highest environmental and hygienic standards. Make sure the mitt is wrung out after every use to ensure it dries thoroughly to prevent mildew. Hang in a dry area. Body brushing is a technique used to exfoliate and cleanse your skin, promoting a healthy and glowing appearance. It has excellent health benefits including increased circulation, cellulite reduction, smoother skin and, importantly, body brushing detoxifies the lymphatic system. Drys much quicker than other brands I've tried which is super helpful, I wash it and reuse it, it's lasted ages. Great all rounder for face and body.